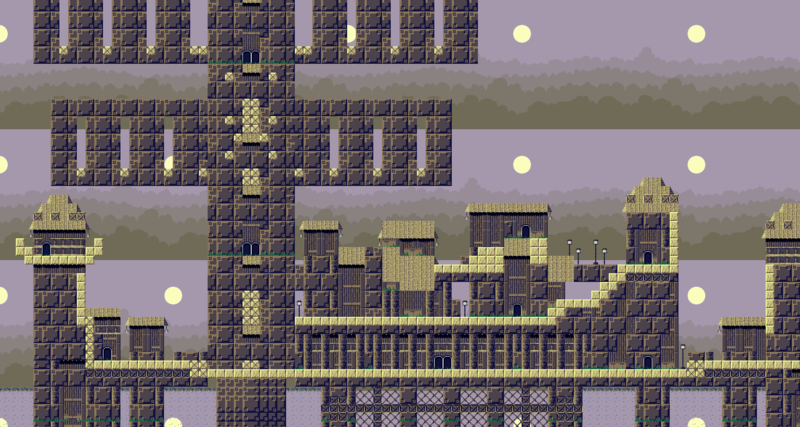 Cloud Story | Creating a Cave Story mod about the War 10 years ago. ✰ ✰ ✰ ✰ ✰ Ralren’s_Mod_Collection! 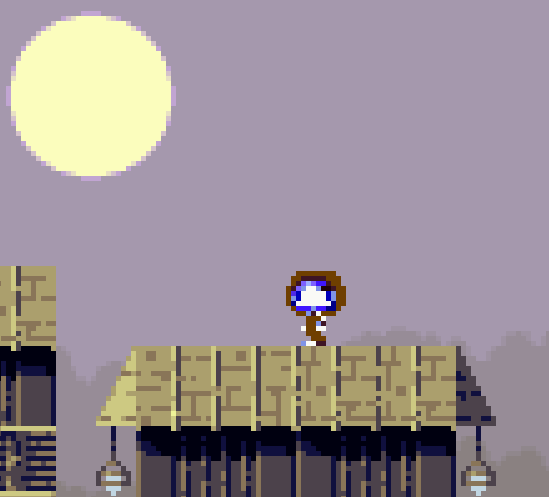 Creating a Cave Story mod about the War 10 years ago. But, did a little bit with sprites tonight… Just one actually, but kept editing it trying different characters. Any characters I keep will obviously get more work done..
Thursday: Continued mapping an old map, and also did some misc images! Just a little NightShade update. Vacation this week, hopefully a little progress everyday. Wanted to jot this down while I was thinking of it. First off, Cloud Story. 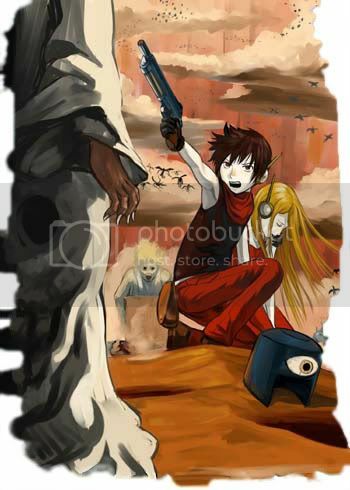 I was never satisfied with my interpetation of the events of the war 10 years before Cave Story. I wanted to make something canon, which I never could have the right to do. I’m not Pixel! But, today I had an idea. It was not too long after telling that tale, the events of Cave Story happened. And the “stories” old Zett told, suddenly became very real in her eyes. There really was a red demon. There really were robots that fought to save them. And so Chie’s thirst for stories… and history grew as she herself did. Thus Cloud Story begins. Chie has grown up, and she wants to know the truth. She wants to record the history of her people. Of Zett’s stories. Of who saved them, and what happened before she was born. Too many people were ignorant of the past, and they paid the price… But most of all she just has that youthful thirst for knowledge. And so, in order to piece together the events of the War, and the stories of those who fought. She would venture out looking for the few people who still remember. Who can fill in the blanks. And maybe see these places for herself. Something along those lines crossed my mind today, as being a better alternative, than a de facto linear prequel of Cave Story… Probably. At the very least, it seems like it would make for a more complete, fun tale for all characters involved. On Nightshade Project… Things are going horribly slow! Well, I’ve been occupied by class, but for the most part it’s constantly being set aside for other things. The last thing I was doing with it was… still figuring out the story. It’s evolved over time, from one entire story and characters to another. And currently I’m trying to tie everything together into a timeline of events over character lifetimes. But, currently there are two major story branches. Also, I’ve been intending to use the new GeoBox engine for this project, but if I can’t even settle on exactly what I want to tell; I can’t really plow ahead. As everyone, except perhaps myself, has become aware, Cloud Story has been frozen indefinitely. Still not cancelled though. 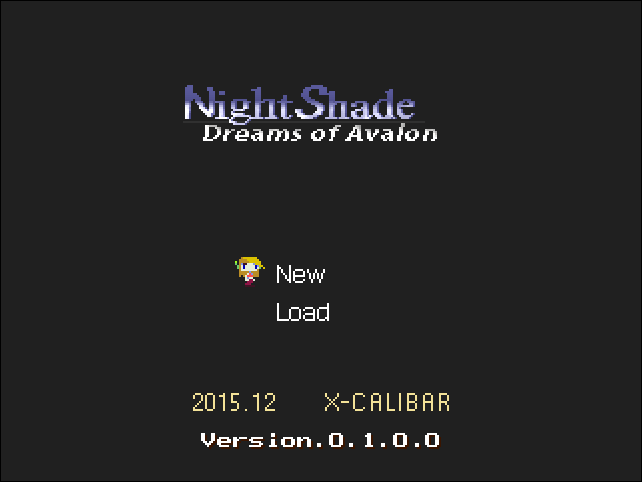 Instead I’ve been busy taking classes, and dabbling on my alternate Cave Story project, codenamed, NightShade. With Cloud Story, I was always limited to “what would Pixel do…?” Which is why, NightShade has offered me the creative freedom to create my own universe. That said, it still suffers from the same scatterbrain developer, “ME”, so progress has been slow; and often halted while I worked on classwork, or played one of the 700+ games sitting on my PC atm. On that note, I’ve put up an assembla SVN project to manage the chaos, and to try transparent, ordered development. I’ve thought about asking some people to join this team of one, though probably after I have significant progress towards the demo. That would help any contributors have an idea of what direction to work towards, and/or to focus on fixes and enhancements. But, don’t worry! No more projects than these!